Bloggers can learn a lot of from News Papers. When you pick up a news paper, you expect to find quality content about current events. But, that’s not all! You also expect that the content will be presented in a way you can understand. The same is true for blogs. Your readers won’t benefit from your content if it is not resented in a logical and readable way. Blogging is just not about plain text written on a page; a good article is the combination of text, images, and other various multi-media elements like videos, charts, slides, etc. To be a professional blogger, you must know about some factors which are attracting your readers and make him feel comfortable on your blog. Well, in today’s article you will learn how to be creative in writing magnetic & eye catchy content for your blog. No matter the kind of blog niche, you will need to gain new skills in the are of your writing eye catchy blog posts. If you want to get traffic from search engines and social networking sites then you will need to be more creative in writing the content for your blog. 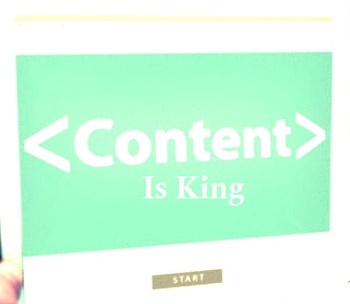 “CONTENT IS KING” these three words are true. 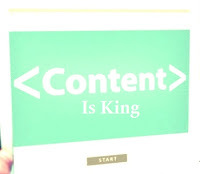 Quality Content is the best tool for getting traffic from search engines and social networking sites. Although being the creative in writing magnetic content is difficult but not impossible. If you start writing content step by step which a reader can easily understand then it is the good signal for your writing skill. So, for magnetic blog post you must have to do following things when you are writing a post for your blog. Upload Attractive Pictures to Each Post of your Blog. Write Long Content (500 Words). and catch the attention of your targeted readers. If you are not writing catchy titles then a reader never click. Sometimes you have good rank on search engines but your click-through-rate (CTR) is low and you are going down in the ranking. So, Write a Powerful Title for each Blog post is very important task. Always write magnetic title for your new Blog Posts. Now we are going to share Some Strategies which we are following when we are writing our Blog Post’s Titles. “Creating Excitement” for example: “How to Write Catchy Blog Posts?” is not a excited title. “5 Easy Tricks to Write Magnetic & Powerful Blog Posts” is more exciting than above one. “Short & Eye Catchy” for example: “Write Powerful Post Titles” – for someone who is researching how to write catchy headlines, this gets straight to the point for them without excessive clutter. “Using Keywords” for example: “Stylish Contact Form for Blogger! Add to Static Page” this targets a popularly searched keyword: “Stylish Contact Form for Blogger” or “How to Add Contact Form to Static Page”. 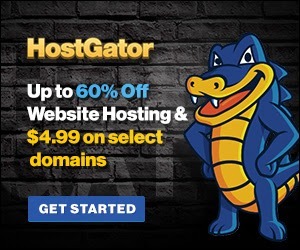 Chances are, you found this particular blog post by searching for this keyword, or a similar phrase. If you are not good in write powerful titles then you can also take help from online title generator tools which are given following. 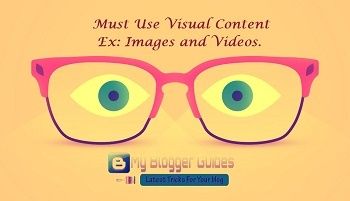 You’ve probable heard about the importance of visual content in the Blog Posts. Social networks are displaying images more prominently in their feeds. Visual content tends to generate much more engagement compare to the text-based content. Our eyes always gravitate toward images. It is not surprising, It is natural. So we highly recommend to must insert a eye catch image to each blog post. “Do You have the Right to Use it?” Must check have you authority to use the image. Are you allowed to use it? Yes! it is right. Some of the pictures on the web have their admin copyrights. So, before using them must check are you allowed to use that picture or not, otherwise violation image copyrights can cost you and your company a quite a bit of money. “Is it Relevant?” Is the image relevant to the content? 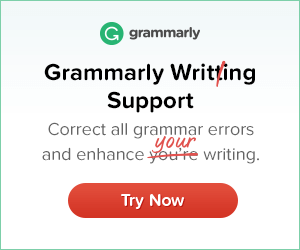 It should have a fairly obvious tie-in to your post – or even just the words in your post’s headline. Think about it and after that insert that picture to your post. “Is It Compelling?” It’s not enough to be relevant. The image you choose should also be compelling. In other words, it should be eye-catching, interesting, appealing – you get the picture, right? Remember, the first image in your blog post is usually what gets pulled in when people share links to your content on Facebook, Google+, LinkedIn and Pinterest. “Is It High Quality?” This may go without saying, but is the image high quality? How’s the resolution? Is it pixelated? If so, you might want to keep searching. The image may have the potential to be remarkable, but if it’s not high quality, it loses all credibility. “Is it optimized for all screen sizes?” As you’re well aware, the desktop isn’t the only screen you need to consider these days. Given the widespread usage of smartphones, tablets, and everything in between, you need to make sure the images you select are optimized for all screen sizes. Writing long content is a great choice but write Long and Understandable content is very tedious task but, if you have skill to write then you have the most important Blogger skill. The minimum length should be of a blog post is “4-500 words” according to us. We have researched and found the post who has 500+ words has getting more views compare to the posts who has 300+ words. Always follow below rules when writing the content for your blog post. “Original Content” As mentioned, original content goes a long way with Google and your visitors. Copying other people’s content will result in a punishment from Google, which can crush your bottom line. “Make Content Actionable” What was the last blog post you wrote? Did it give readers advice on how they can apply the lessons right away? The best content gives the user a sense of how to apply the information. It doesn’t degrade users by telling them what to do, but rather respects them and provides them with assurance that they know best how to use the material. When you write your blog post, give users tips on applying what you are offering them. Many times, just writing well about a topic will spark some ideas for readers. “Always Be Able to Provide Answers” What is the ultimate purpose of a search engine? Most people would be correct in saying “to deliver sets of answers.” Google is great at this. Type a query into Google and you’ll be presented with links, pictures, and videos. When people use a search engine, what they ultimately want is an answer, and it’s the search engine’s job to deliver that answer. It’s the same when people are reading a blog post, viewing an infographic or watching a video — they want an answer so they can gain knowledge. An additional tip here is: people don’t just want answers, they want answers fast. So make your content easy to scan so people can pick up the juicy, important bits quickly. “Create Engaging Content” An engaged audience hangs on to your every word and takes in all that you write or say. But the only way to get an engaged audience is to make engaging content. It all starts with you and what you write so always write engaging and provoking content. “Write Pointed Content” One of the best writing lessons we’ve learned is to eliminate fluff. It’s challenging and takes work, but it makes for a significantly better composition. There is nothing better than a brief, to-the-point blog post or article that is filled with information. So don’t focus on word counts write pointed content. 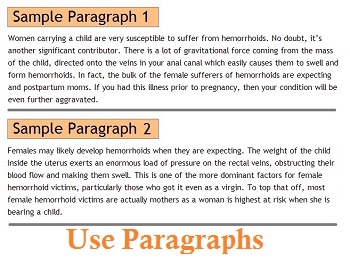 Writing short paragraph is a basic blog post writing law. Because reading is harder online it’s best to break text into manageable chunks. Paragraphs should be much shorter online than on paper with two to six sentences per paragraph a good guideline for blog posts. readers will know that you have an idea of what you are doing. Writing is fun but with more practice you will learn how to write great and catchy contents that will capture your reader’s attention. So above guide is about How To Write Magnetic & Powerful Blog Posts or you can also say 5 Easy Tricks to Write Eye Catchy & Magic Posts for your Blog which can boost traffic. We hope you like the post. Have any question? Okay! Ask us via dropping a comment below and you can also share your thoughts about this topic here by using comment box. Do Share.